The owner of this BJ8 has had the car since 1973, drove it for a few years and then put it on jack stands in his garage where it has remained ever since except for being periodically worked on. He decided that a full restoration is needed and brought the car to the Classic Car Center for that work to be done. 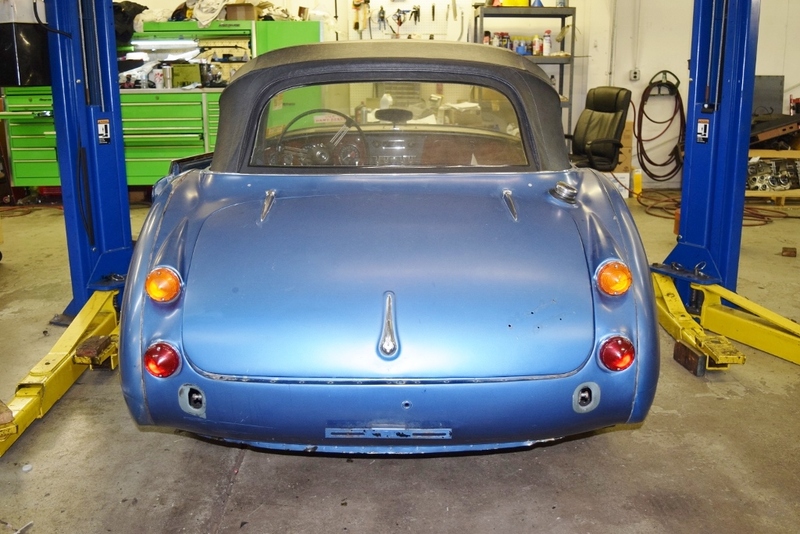 The ultimate goal is to return this Healey to being a dependable driver for this long-time owner to begin enjoying once again. As the pictures below indicate, the first step is to remove the trim and interior to assess the extent of rust and body repair that will be required prior to painting.